Whether you’re a Bali regular or just heard it through the grapevine, Seminyak is where it’s at for a bit of glitz and glam in the snazzy centre of South Bali. 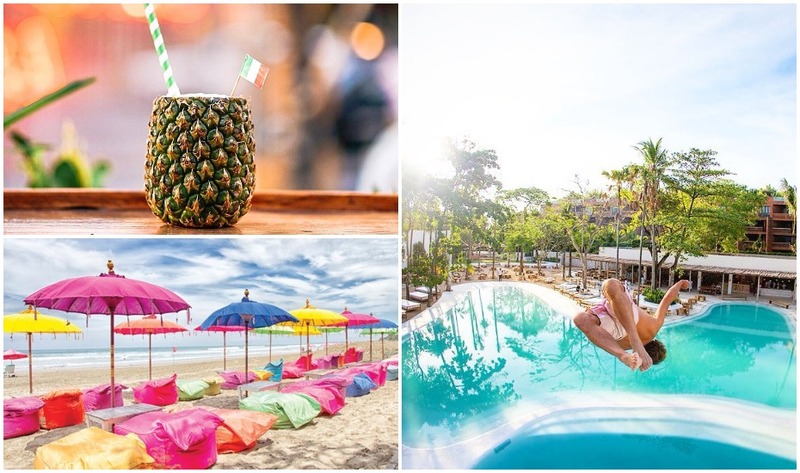 Upmarket and popular (without the notorious Kuta crowds), Seminyak is spilling with uber-cool cafes and hip restaurants, plenty of spas for your ooh-and-ahs, cool beach bars, swanky villas (aka party pads) and ritzy resorts. 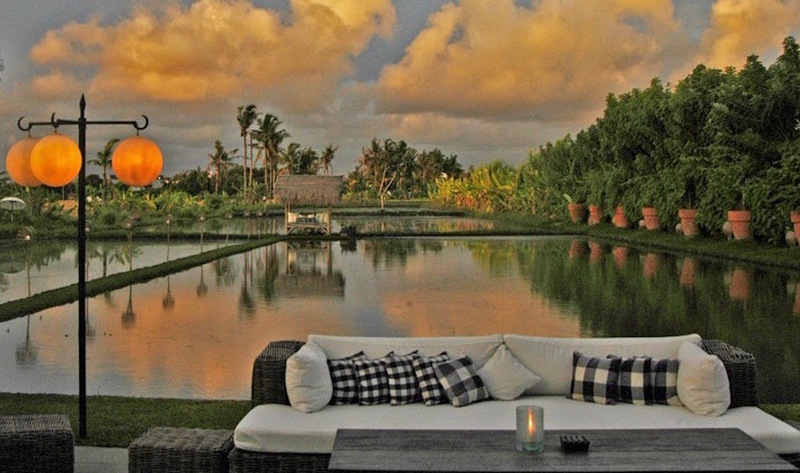 Read on for our top picks of all you need to know about Seminyak, Petitenget & beyond. Fresh white walls, indoor palm trees and pineapples on every table – yep this place is a ‘grammer’s dream spot. 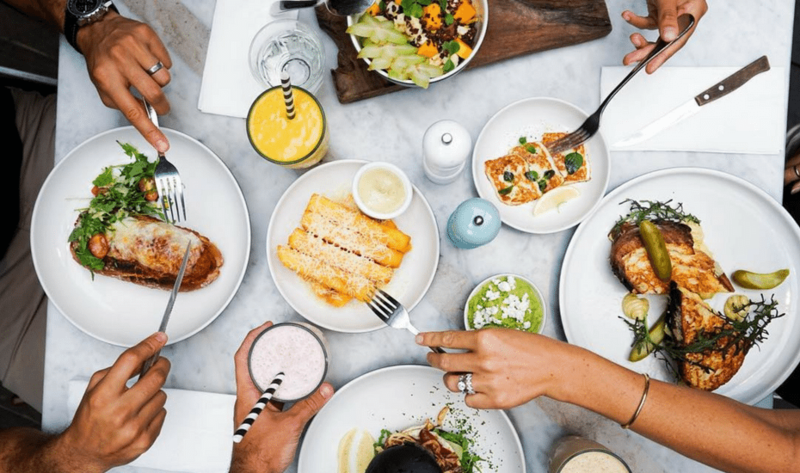 The brekkie/brunchie style menu is full of fabulous vegetarian fare that is beautifully presented and super health conscious, alongside a range of takeaway treats on hand for a guilt-free arvo tea break. Drink-wise, it’s all about healthy smoothies, juices, top-notch coffee and happy kombuchas for the cleansing crew. Café Organic, Jl Petitenget 99x Seminyak, p. +62 821 464 89669, e. info@cafeorganicbali.com. Open daily 7am – 5pm. SO much more than just a gorgeous café, KYND is a community of earth-conscious foodies serving up plant-based dishes and drinks for people who like to tread lightly. Veggies and vegans will love their inventive menu, which is a feast of flavours – both sweet and savoury. Think salad bowls and gourmet toasts with a range of super wholesome toppings, and some of the best smoothies and waffles in town. Pssst – they’re open for dinner too! KYND Community, Jl Raya Petitenget No12x, p. +62 859 3112 0209, e. kyndcommunity@gmail.com. Open daily 6am – 10pm. Sisterfields is legendary on the island for tasty homemade food & instagrammable interiors. Swoon! A stone cold hit since day one, Sisterfields has to be one of the most popular eateries in central Seminyak, with lines out the door for brekkie, lunch and dinner. Fear not though, the service is faultless and it’s never long before the ever-smiling staff will have you settled in, sipping and snacking away on the incredible, instagrammable dishes – pulled pork charcoal buns, insta-famous polenta fries and Acai berry bowls, no less. Sisterfields, Jl Kayu Cendana No. 7, Seminyak, p. +62 811 3860 507, e. hello@sisterfieldsbali.com. Open daily 7am – 10pm. 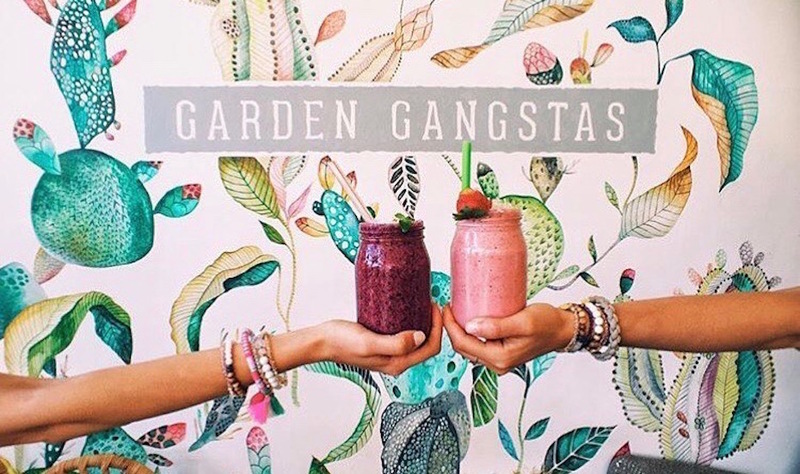 Seminyak’s most colourful cafe gives us our juice, caffeine and foodie fix daily! 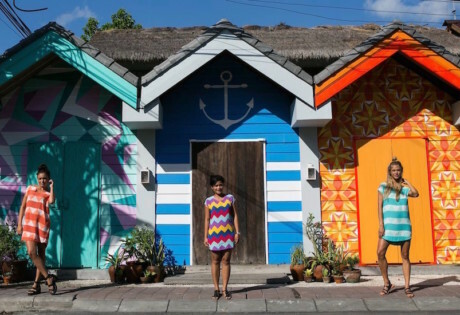 This brightly coloured address in hues of sea green and neon pink (with staff fitted out in Bali Boat Shed designs) is a Seminyak institution. Perk up your morning with delish coffee, a designer brekkie or pressed juices, and that’s all before lunch. Expect a surprise mantra with your coffee – fortune cookie-style wise words delivered with every caffeine hit. 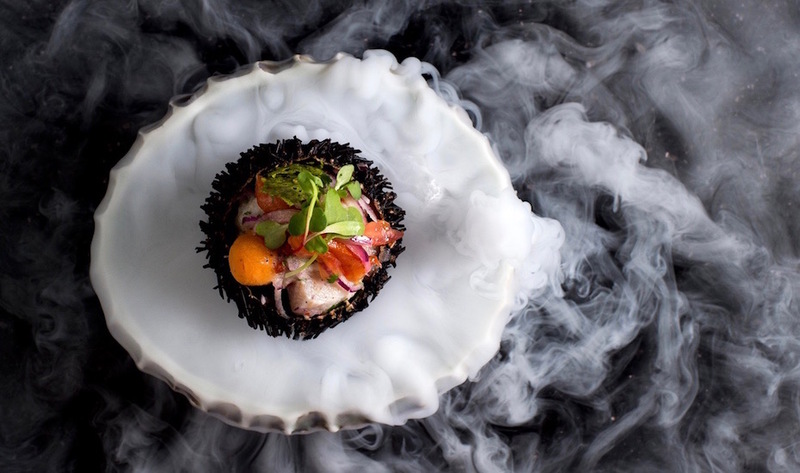 Sea Circus also over-delivers with its food options – and after a boozy night out (it is Seminyak after all), you might also need to try the Sin City Hangover meal. Sea Circus, Jl Kayu Aya No. 22, Seminyak, p. +62 361 738667, e. ringmaster@seacircus-bali.com. Open daily 7.30am – 10pm. Seriously. Good. Coffee. And home to the OG of boutique bean brands in Bali. Yet like all local faves and best-kept secrets, this urban café, located down a little laneway in downtown Seminyak, is not easy to find. Exuding inner city cool, you could very easily forget you’re in Bali with its city warehouse feel. Breakfast is sensational and there’s a delicious salad menu for lunch. They’ve an even smaller address up on Petitenget, if you need your coffee fix bad. 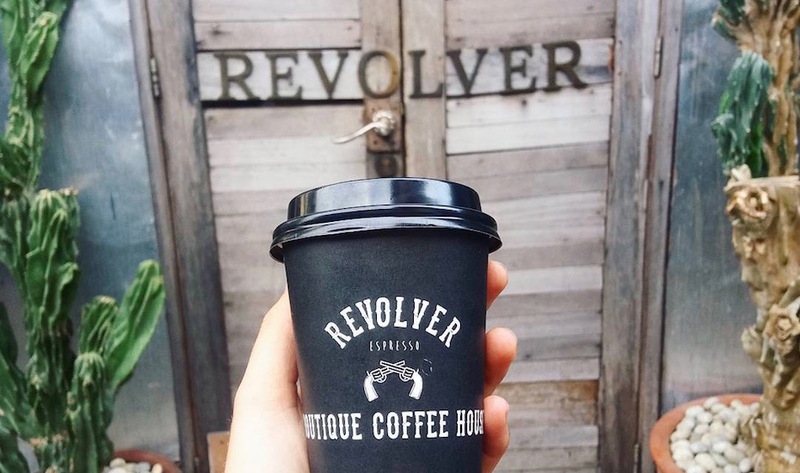 Revolver Espresso, Jl Kayu Aya #3 Oberoi & Jl Petitenget No. 102, p. +62 851 0088 4968. Open daily 7am – 6pm. You’re in for a magical afternoon at this charming cafe inside a Javanese joglo. 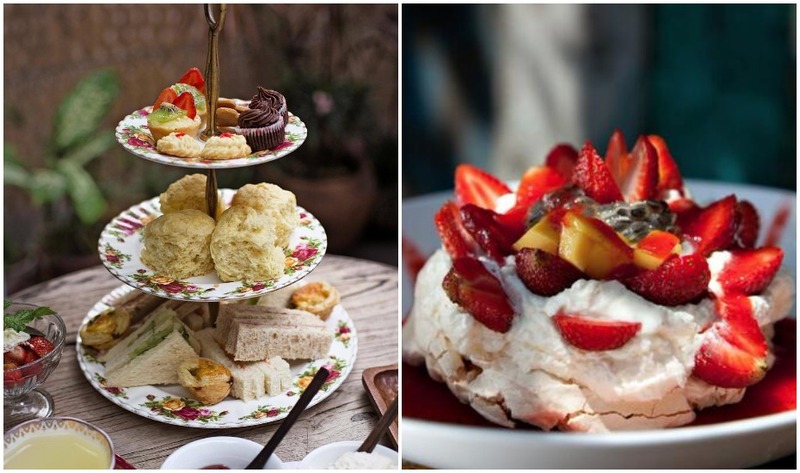 Select from several high teas like the traditional English one [slather that sticky jam on the homemade, fluffy scones], Asian high tea and a fab kid’s version for your lil bubs. Their range of salads, juices and meals are to-die-for, and the pavlova is on another level. For an even more entertaining experience, Biku is famous for its tarot clairvoyant, in residence most afternoons but you’ll need to book weeks in advance. Biku, Jl Petitenget No.888, Seminyak, p. +62 851 0057 0888. Open daily 8am – 11pm. A firm fave on the main drag through Petitenget, Pison is all about good coffee in gorgeous, rustic-style surroundings (we LOVE the antique tiled floors). For the food, a full cache of café style brekkie, lunch and dinner options both Asian and Western are the order of the day. After dark, keep an eye out for nightly live music sessions here, which always draw a happening crowd. Pison Coffee, Jl Petitenget 19, Seminyak, p. +62 82 144 560 066. Open daily 8am – 11pm. Escape the busy streets of the ‘Yak and check out this hip upstairs hangout for a super chilled dining spot at any time of the day. A fave spot for the creative crew, Shelter is an eclectic yet comfy space that’s perfect for digital nomads, morning meetings or just munching with your crew in between shopping sorties. 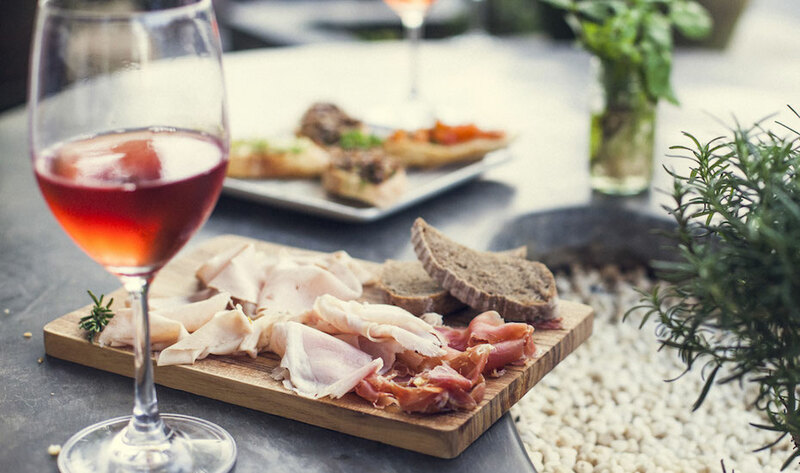 They even host party nights and pop-up stores – even more reason to see what all the fuss is about at this rooftop garden café. Shelter Café, Jl Drupadi 1 No.2, p. +62 813 3770 6471, e. info@sheltercafebali.com. Open daily 8am – 6pm. Corner House, Jl Laksmana No.10 A, Kerobokan, Seminyak, p. +62 361 730276. Open daily 7am – 11pm. Disclaimer: This isn’t a cafe by definition (although there are amazing cakes and their freshly baked banana bread on the menu) but Expat. 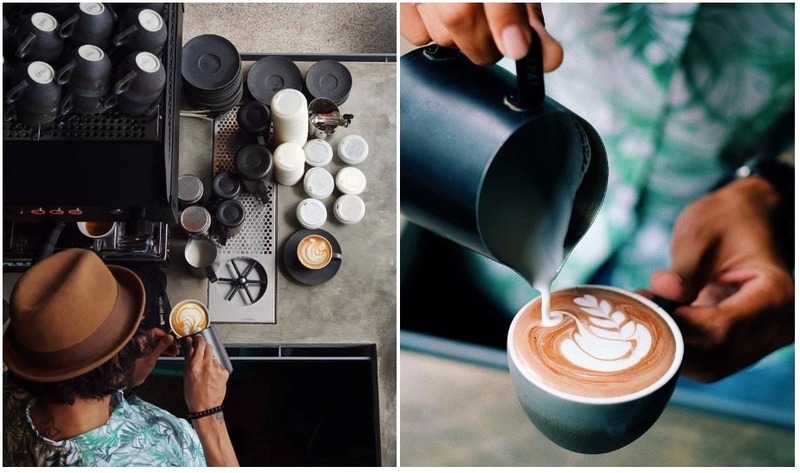 Roasters is one of the newest – and coolest – coffee shops on the Seminyak scene, brought to us by International award-winning Barista, Shae Macnamara Expat. Roasters takes its caffeine sipping clientele on an exploratory ‘from-the-ground-up’ journey, to understand the complex flavours of the Expat blend – one cup at a time. This urban and funky little spot is making waves on the island as the place for coffee, so make sure you swing by for a sip. 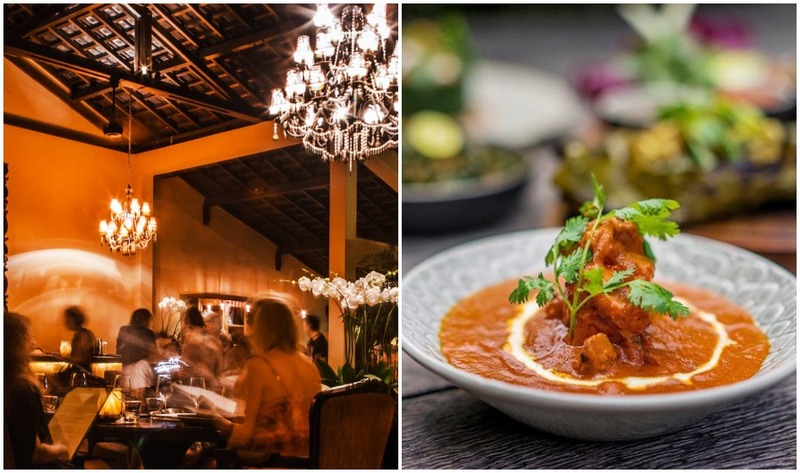 It’s a hard task to choose only a few of our faves, as Seminyak has more hot new restaurants opening each week than there are sarongs to buy in Bali. So here’s a few that stand the test of time, and for the newest cool kids on the foodie block, book into to any of our Hot New Tables featured here. AYA Street, Jl Petitenget No.99 A, Seminyak, p. +62 0877 6302 9889, e. hello@ayastreet.com. Open daily 6pm-1am. 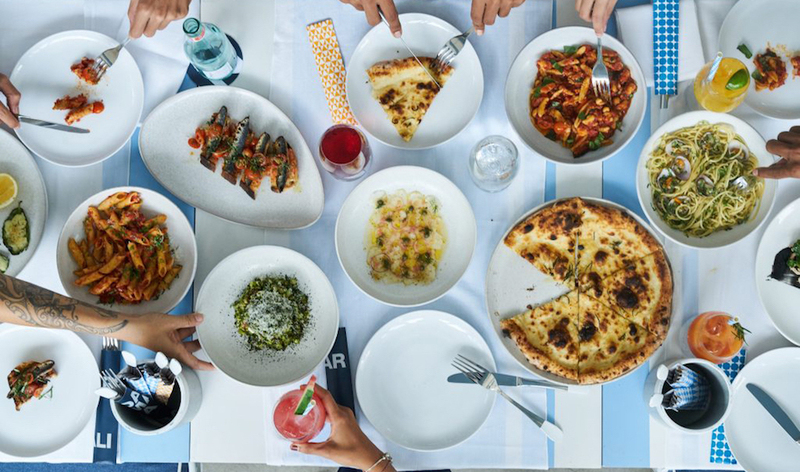 A taste of the Capri coast right here in Bali, Da Maria is the ultra hip Italian restaurant on the Seminyak strip that knows just how to feed our pizza lust. The brainchild of Aussie restaurateur Maurice Terzini, this eye-catching lunch and dinner spot boasts amazing pizzas and some of the coolest cocktail creations in the ‘hood – not to mention one of the hottest Sunday parties around. Da Maria, Jl Petitenget No.170, Seminyak, p. +62 361 934 8523. Open daily 12pm – 2am. 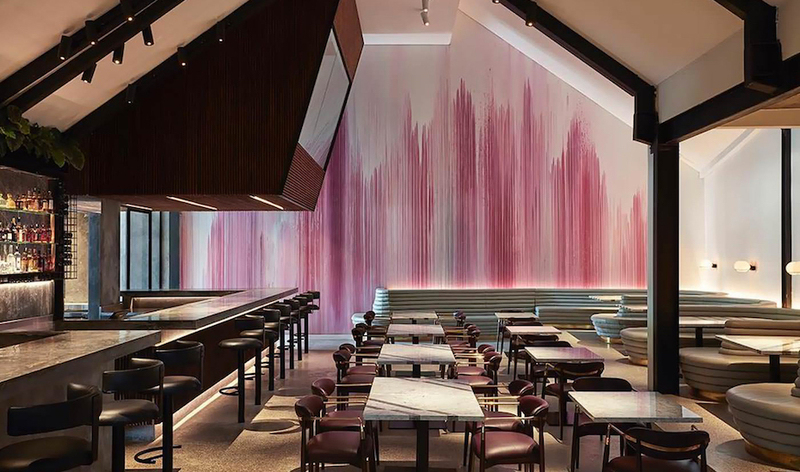 Miami beach meets New York urban chic at Bikini – the hottest hot pink restaurant in town. This eye-catching, playful dining spot is for those who love cutting edge food and super chic drinks (after all, it’s from the same peeps who bought us Sisterfields and Boss Man). The menu is billed as a journey of texture, contrasts and flavour, so expect the unexpected – just remember to not actually turn up in a bikini. Bikini, Jl Kayu Cendana No.6 Seminyak, p. +62 813 533 82346, e. reservations@ulookhotinbikini.com. Open daily 12pm – midnight. 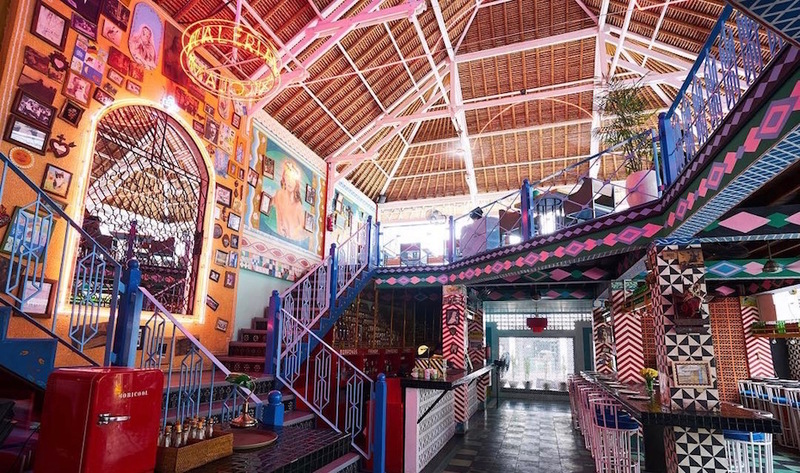 Motel Mexicola is without doubt the hottest hombre on the Seminyak block. Everybody loves the 1960s Acupulco retro stylin’ at this mexican-inspired party pad of bright neon and tasty delights – the wall murals are divine and the food is muy delicioso. Chef Steven Skelly is the real deal and he serves up some tasty traditional Mexican food designed to share with your crew. 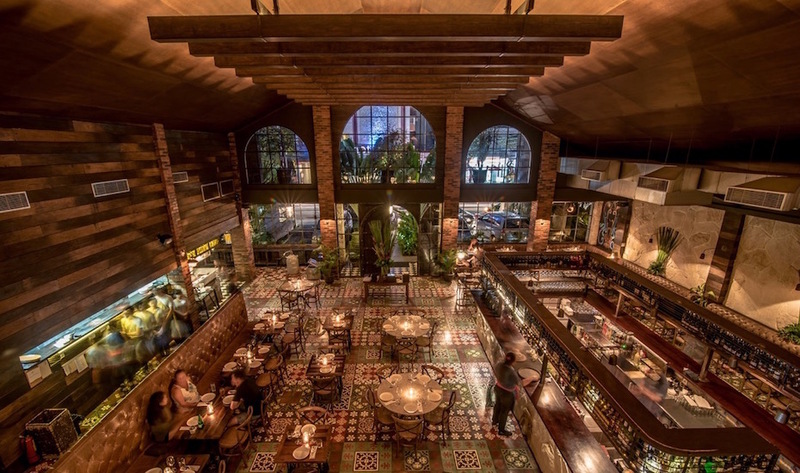 You’ll think you’ve gone to tequila heaven when you check out the bar (uno, dos, tres… VAMOS!) But us, we especially love the tunes and getting our groove on the dance floor after dinner – margarita in hand, gracias! Motel Mexicola, Jl Kayu Jati No. 9x, Petitenget, Seminyak, p. + 62 361 736688. Open 11am –1am daily. 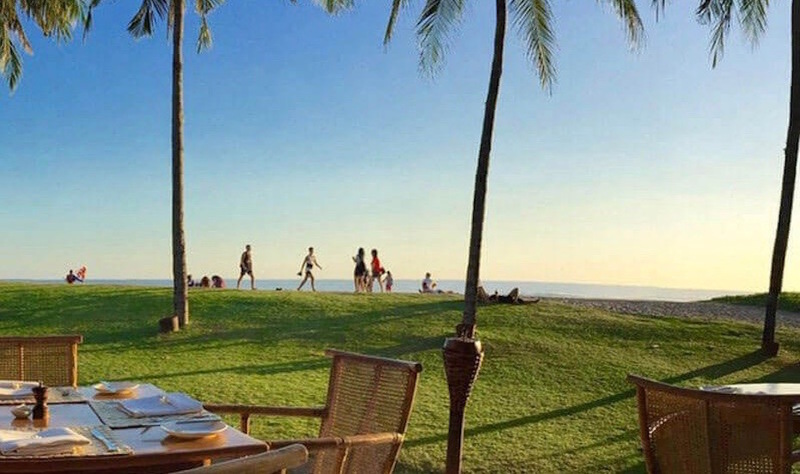 Seminyak’s original, simplest and possibly most loved beachfront institution. It’s a little bit of ‘old-Bali’ in the best way possible, before high-tech and high-stylin’ took over. Here’s where you’d head for Mediterranean fare and a huge selection of wine. It’s impossible not to love “La Looch”, with its always amazing service, legendary food and excellent views. 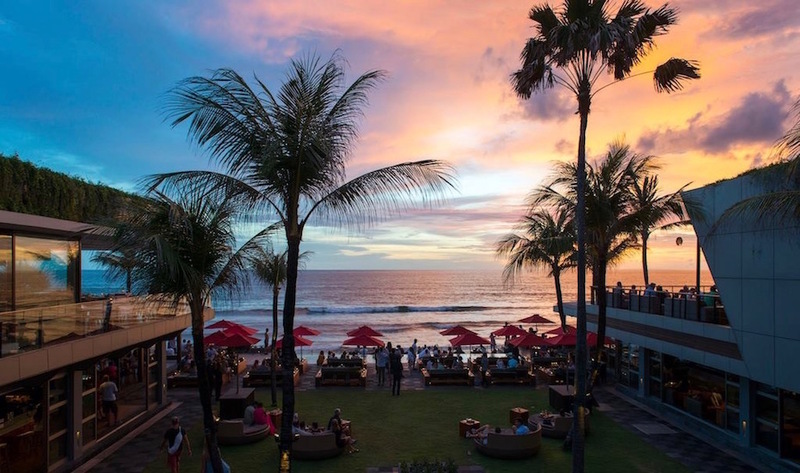 We love that it’s potentially Seminyak’s only place with no wi-fi – just like Bali used to be. La Lucciola, Pantai Petitenget (next to Petitenget Temple), Seminyak, p. +62 361 730 838. Open daily 9am – 11pm. The ultimate Seminyak dining destination to please even the most sophisticated of gourmands, may just have to be Sarong (and it’s a tough category to choose!). Celeb Chef Will Meyrick (who also gave us Mama San, Tiger Palm, Hujan Locale and Som Chai) has shaped Sarong into a melting-pot of eastern cuisines, and actively incorporates traditional Asian techniques, like using an Indian tandoor oven and Balinese coconut grill, into his flavourful, elaborate dishes. But note: book before you leave home, or you’ll be disappointed. Sarong, Jl Petitenget No 19, Kerobokan, p. +62 361 4737 809. Open daily 6.30pm – midnight. Anyone who’s anyone absolutely must make a meal at Mama San, not only for the delicious pan-Asian cuisine, but for the buzzing cocktail scene, too. 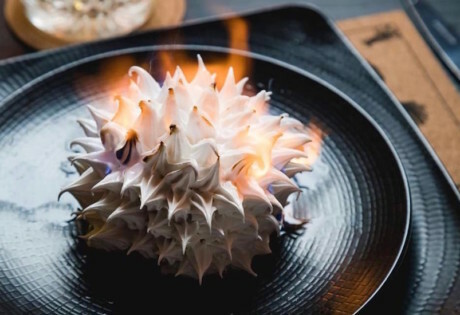 The trendy restaurant – also from chef Will Meyrick – serves up an impressive and vast menu of modern through to simple-sounding Asian bites, like Roasted Peking Duck with red bean sauce and Tom Yum Soup. But don’t be fooled – the ingredients are only tip-top quality sourced from around the country, and the standard is world-class. Couple that with the upscale interior and you’ve got yourself a resto you’ll never want to leave. Mama San, Jl Raya Kerobokan No. 135, Banjartaman, Seminyak, p. +62 813 3942 3033. Open daily 12pm – 11pm. Doing exactly what it says on the tin, Hank’s Pizza & Liquor is a local fave for Seminyak’s rocking crowds. One for the rockers, Hank’s boasts perfect pizzas and awesome cocktails that are the talk of the town. Each one is named after a famous muso, meaning you can munch on a Dylan or Hendrix while listening to a rockin’ soundtrack or regular roster of live bands who always blow the doors off. Hank’s Pizza & Liquor, Jl Kayu Aya No.27x, Seminyak, p. +62 361 474 1096. Open daily 12pm – midnight. 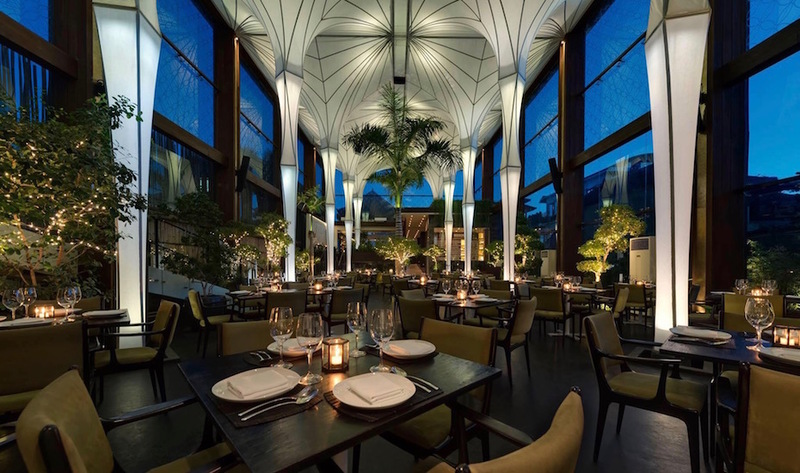 Part of the epic Potato Head empire, KAUM is all about exotic Indonesian dishes served up in a fine dining setting. 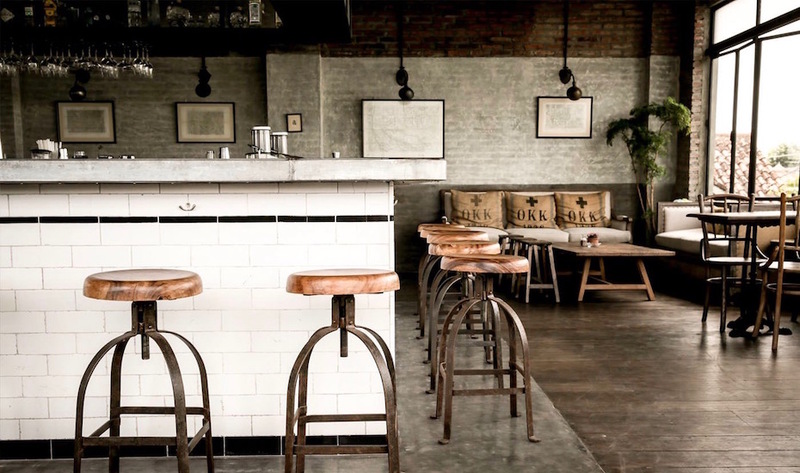 Its beautiful interior is a scrumptious love letter to this incredible archipelago with elements from all over the country, so saddle up for a culinary journey you won’t forget any time soon at this chic Seminyak hotspot. KAUM, Jl Petitenget 51B, Seminyak, p. +62 361 300 7990, e. reservations.bali@kaum.com. Open daily 12pm – midnight. 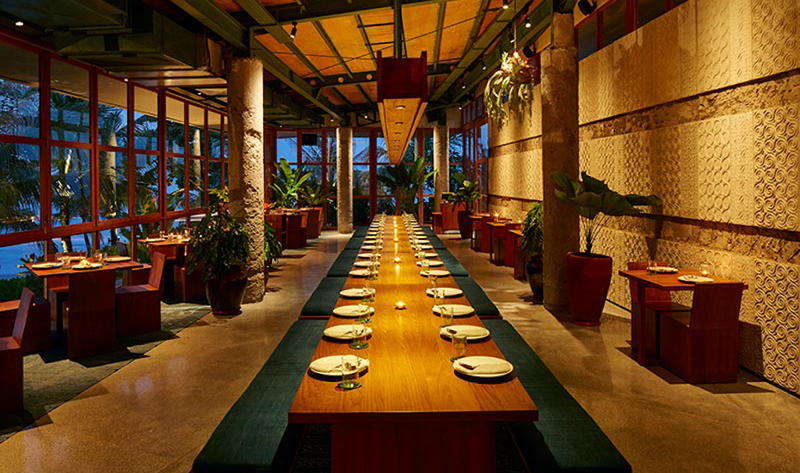 Teatro is Seminyak’s super stylish boutique fine dining spot, helmed by celebrated Indonesian chef Mandif Warokka. Classical French-style cuisine is given an Asian spin here – best demonstrated by their sensational carnivorous and vegetarian degustation menus. The drinks are also out of this world, as are the cutting edge design-orientated interiors. This is one for a very special occasion. Teatro, Jl Kayu Aya Blok C No.1-2, Seminyak, p. +62 85 101 700 078. Open daily 6pm – 11pm. 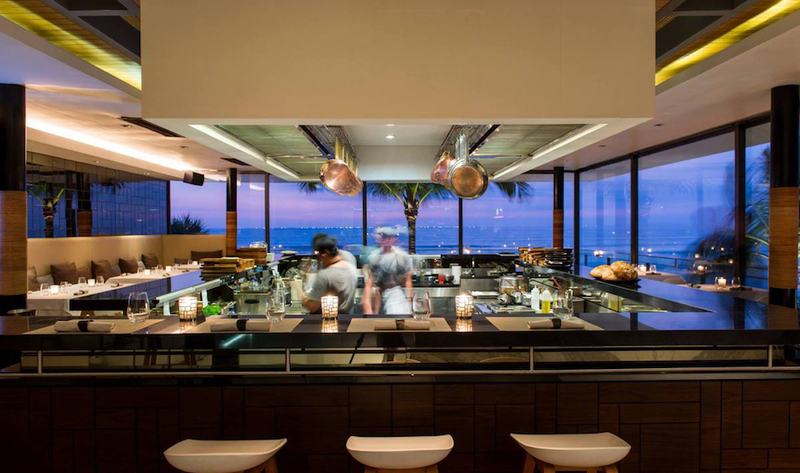 Stroll upstairs at Ku De Ta and find yourself in one of the most cutting-edge restaurants you’ll find anywhere. The culinary team are constantly evolving the fine dining, degustation menu, served up tasting plate-style in the relaxed yet chic dining room with views out over Seminyak Beach. 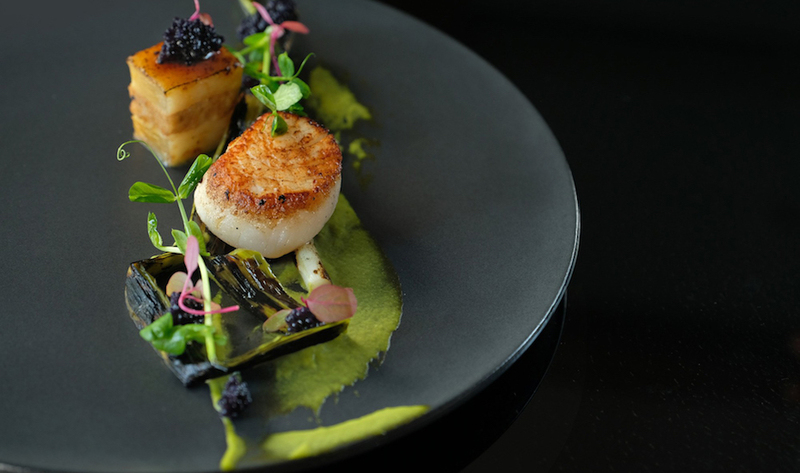 Foodie heaven right here (and perfect for an extraordinary date night). Mejekawi, Jl Kayu Aya No. 9 Seminyak, p. +62 361 736 969, e. reservations@kudeta.com. Open daily 5pm – midnight. Ling-Ling’s: it’s Asian, it’s tropical, and it’s delicious. 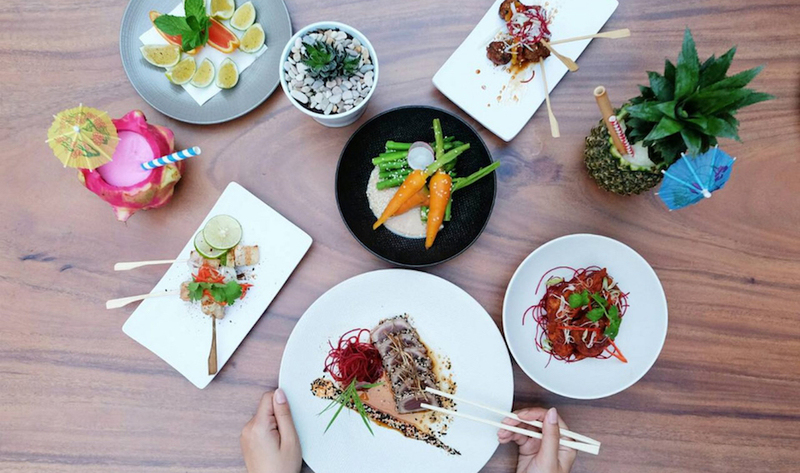 Toting Asian-style sharing tapas with a quirky Harajuku vibe, Ling-Lings has proved a hit with those in the know. 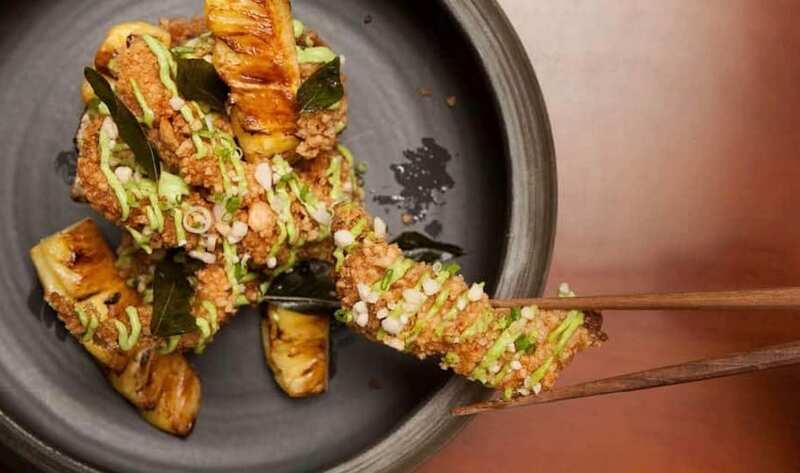 Think Korean chicken, Bao Sliders, sushi plates and yakitori, all washed down with a scrumptious (and super well priced) cocktail or three – often served up in fresh fruit… Just because. Ling-Ling’s, Jl Petitenget No. 43x, Petitenget, p. +62 81 916 417 867, e. info@linglingsbali.com. Opening daily midday – 1am. 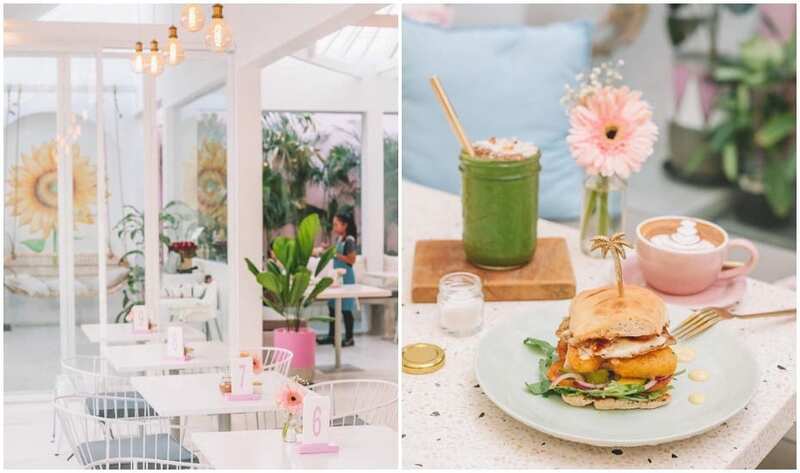 Mrs Sippy in Seminyak is where you’ll find poolside bites and sunshine swims! 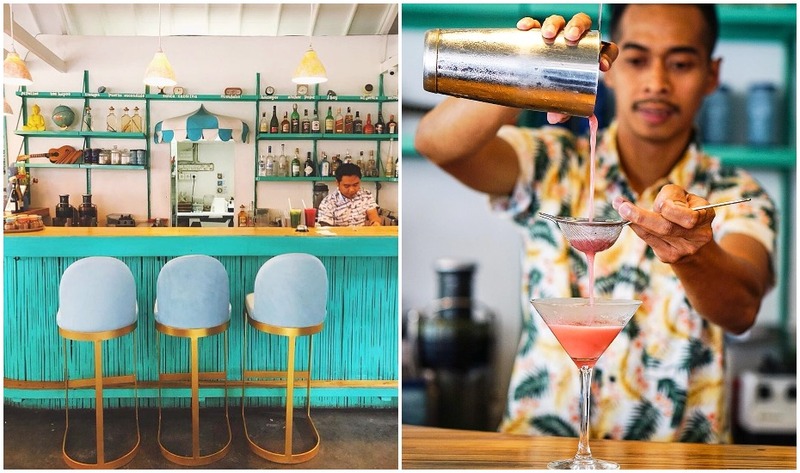 Mrs Sippy is Bali’s hip pool bar that brings in Seminyak’s cool crowds with its delish bites, the biggest saltwater pool we’ve ever seen, and happy hours galore beneath the tropical sun. This ultra-cool brand is originally from one of Sydney’s hottest suburbs (with a seriously suave F&B team behind it) and it’s everything the Sydney spot has become known for, and more. 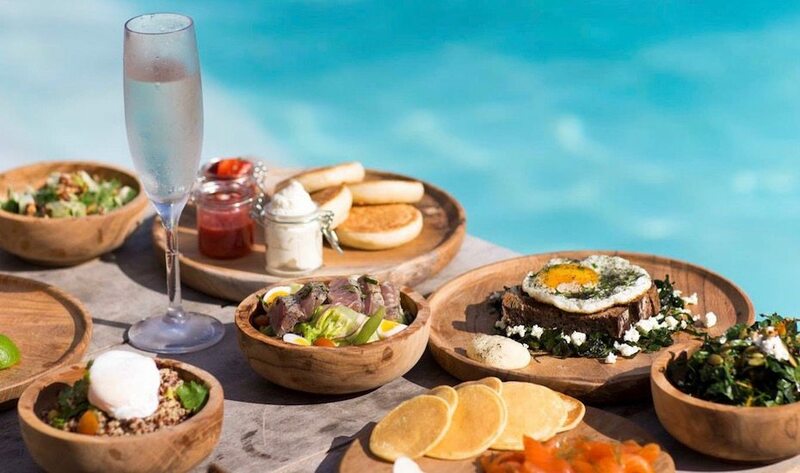 Think seaside LA with a party Miami vibe, cool Grecian touches and some of Seminyak’s best bites. Try the poke bowls (all of them) and graze your way through the Mediterranean poolside bites, like olives, dips, breads, tacos, charcuterie boards and salted calamari. Yum, yum, yum (and splash!). Mrs Sippy, Jl Petitenget, Gang Gagak 8 Seminyak, p. +62 361 3351079, e. reservations@mrssippybali.com. Open daily 10am – 9pm. 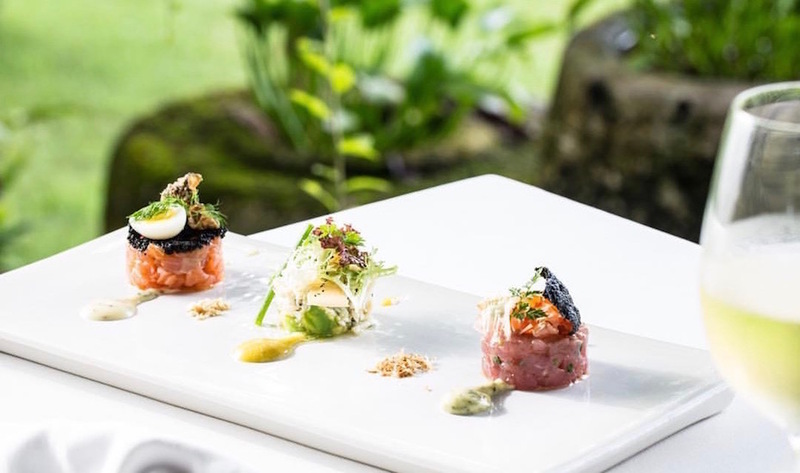 One of the original fine dining joints in Seminyak, Metis has been surprising and delighting foodies for years with its classic French cuisine and magical ambiance overlooking the rice terraces of Kerobokan. Get your glad rags and enjoy the flawless service and sophisticated vibe. Metis Restaurant & Gallery, Jl Petitenget No.6 Kerobokan, p. +62 361 4737 888 / +62 361 4730 777, e. info@metisbali.com. Step away from the pacy, urban feel of the average Seminyak restaurant and instead direct your dinner plans toward a laidback, sumptuous feast overlooking perfectly manicured rice paddie fields. With fresh fish and sophisticated seafood direct from the Indian Ocean (plus organic vegetables from Sardine’s own farm) it’s best to clear a whole afternoon and evening to truly soak in the magnificence food at Sardine. Sardine, Jl Petitenget No. 21, Seminyak, p. +62 811 3978 333. Open daily 11.30am – 1am. 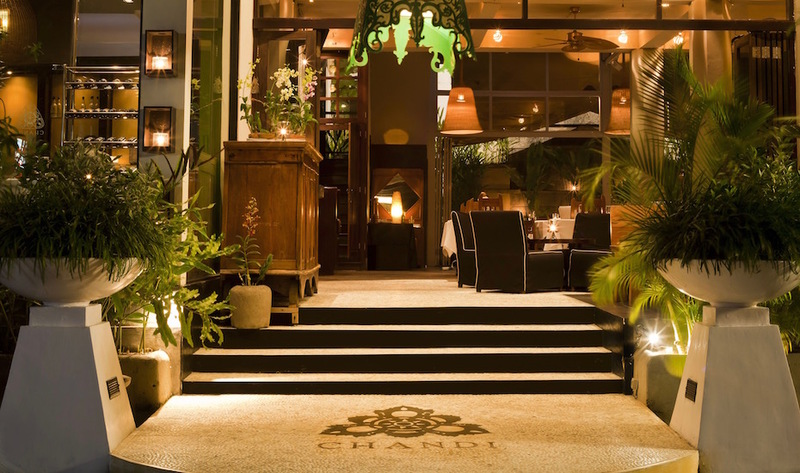 Haute Indonesian-inspired cuisine is the name of the game at Chandi, a stunning restaurant that’s committed to only using organically grown greens and spices from Balinese farmers. 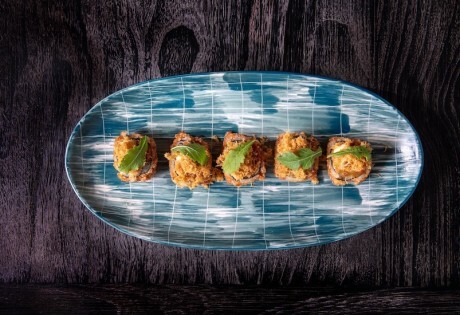 Munch away on the highly recommend satays – choose from beef, duck, scallop, prawn, fish ([he list goes on…] or try out the Appetiser Plate for two, with little munchies like Seared Scallops with Tamarind Dressing or Mini Beef Rendang Envelopes. It’s a big thumbs up from us. Chandi, Jl Laksmana (Kayu Aya) No. 72, Seminyak, p. +62 361 731060. Open daily 12pm – midnight. Food-savvy crowds flock to Barbacoa for good reason – smokin’ (literally) grub, cocktails and gorgeous interiors all set in a warehouse space. The award-winning food here is unpretentious (though beyond delicious) and largely cooked over a woodfire and charcoal grill – like Charcoal Grilled Prawns and good ol’slow-cooked rib eye. If you’re not a meat eater – no worries – the seafood and salad here is scrumptious as well. Barbacoa, Jl Petitenget 14, Seminyak, Bali, Indonesia, p. + 62 361 739 233. Open daily 12pm – midnight. Is it the stunning architecture (think cathedral-like ceilings and rain-catching pillars), or the stunning twist on Indonesian food that has made this grand dining destination more popular than a Nasi Goreng? Doesn’t matter. 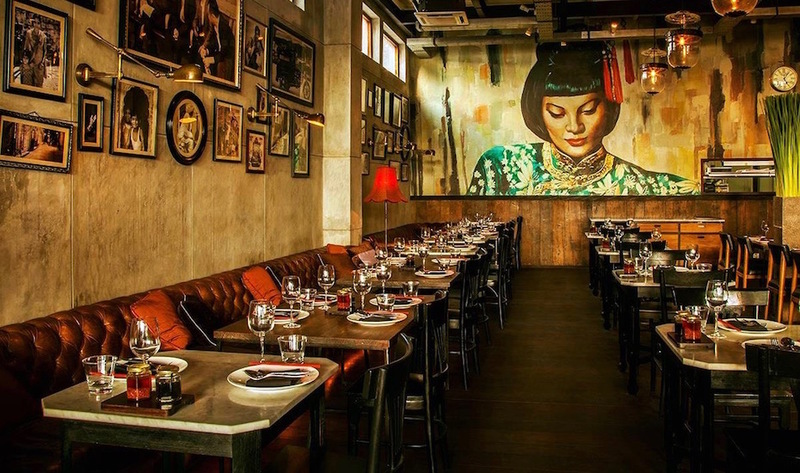 This well-priced, great night out has delivered en-masse since its opening two years ago. This is one grand design you won’t want to miss. Merah Putih, Jl Petitenget 100x, Seminyak, p. + 62 361 8465950. Open daily 12pm – midnight. If you’ve ever wondered where the island’s Italians get their fix of just-like-nonna’s nosh, this is the place. Bottega Italiana is a fast-casual Italian eatery (and the sister brand to Zibiru Restaurant) bringing a back-to-basics philosophy of cooking to Petitenget. It showcases the best of what Italy has to offer with its all-homemade and premium, organic ingredients, and if that wasn’t enough, it’s also a boutique gourmet marketplace with take-home homemade products, like fresh pasta, sauces and herb-infused olive oils. Delizioso! Bottega Italiana Bali, Jl Petitenget No.777, Seminyak, p. +62 812 36552505‬ . Open daily 8am – 10pm. 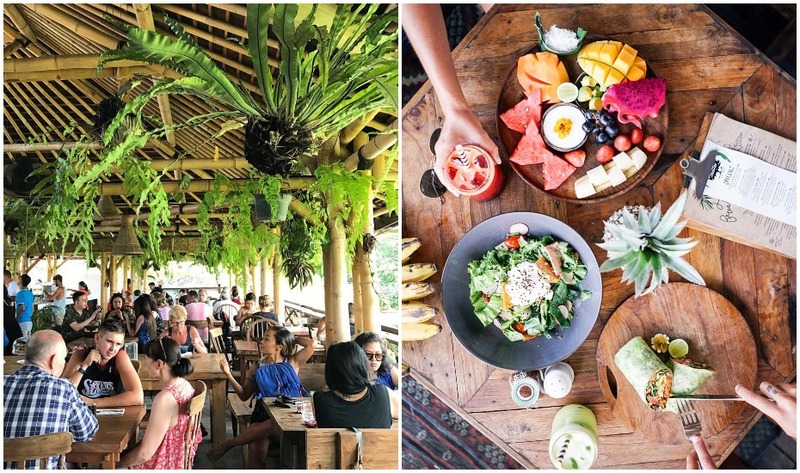 Eat your way around the Seminyak ‘hood with Bali Food Safari! Bali Food Safari, check out the full lineup of Bali food tours here or contact: p. +62 896 0529 3637 e. reservation@balifoodsafari.com. Where to start when planning your shopping itinerary in Seminyak’s epic maze of endless lanes, designer labels and alluring shop windows? Well, you’re in luck as you can start right here with our Ultimate Guide to Shopping in Seminyak! But to give you a better idea on how to map out these favourites, here’s a few of our most frequented shopping areas in Seminyak with a cluster of our fave boutiques to shop ’til you drop. Visit Jalan Cendana (the little road off Jalan Kayu Ayu opposite Seminyak Square) for a selection of island-inspired fashion such as Kiosk, Frockk Boutique and Uma and Leopold for gorgeous cotton dresses, shorts and cute little tops. From there, Venture onto Jalan Kayu Ayu to visit Sundays Resortwear for a wide range of brightly coloured dresses, tops and kaftans (Camilla-inspired, but in cheaper fabrics to help the shopping budget go further! ), and Drifter Surf for any surfy cool clothing for men or women. 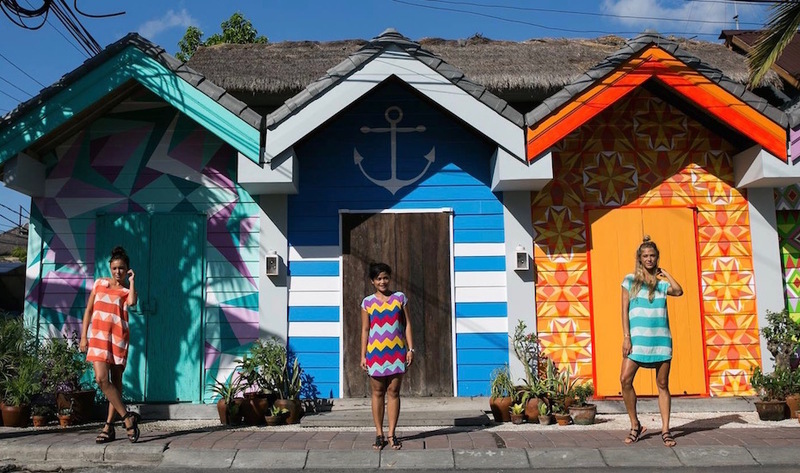 Bali babes (and gents) get their shed threads from Bali Boat Shed on Jalan Kayu Jati. You know you want to. Otherwise, Jalan Petitenget (from W to way past Potato Head) provides you with loads of options from Deus, Jetset Gypsy, Magali Pascal, Lulu Yasmine, & Seafolly, to Little Joe Woman by Gail Elliott and Carga for gorgeous homewares. Towards the bottom of Petitenget at the intersection of Jalan Kayu Ayu/Oberoi and Jalan Kayu Jati (opposite VIN+ wine house) you’ll find Mist, State of Georgia and more as well as the ever-popular Bali Boat Shed. Neighbouring Sea Circus can feed the energy levels on the way! Auguste the Label is our forever-fave when it comes to island fashion! There’s no shortage of ahh-mazing spa spots in Bali, so here’s seven of the most popular in Seminyak. For a more of the best spas across the island, check out our feature of 30+ affordable addresses right here., and Seminyak’s 14 best spas here. Spring Spa is one of our fave spa-ing spots on the island! 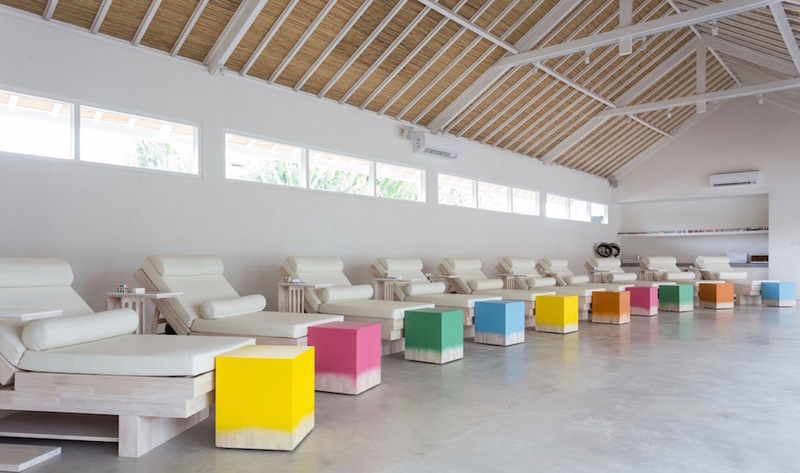 Cold coconuts, icy mocktails and twenty-first century lifestyle treatments in a fun and social atmo, Spring is one of our fave spa-ing spots on the island, be it for a raw facial, an ahhh-mazing massage, or a too-legit-to-chip shellac mani-pedi. And now with tiga locations in Bali (two being in Seminyak) that means more opportunities to bliss out with their mod body treatments, like the Balmy Bali or All Maid Up packages that we fell head over our manicured heels for. Spring Spa Bali, Jl Petitenget 100x, p.+62 852 39141775 & Seminyak Village Shopping Mall Jl Kayu Jati p. +62 813 38627222. Open daily 10am – 6pm. Stir every one of your senses with the Moroccan-inspired splendour of one of the biggest, and most sensual, spas in Bali. Decked out in regal interiors and rich colours, Prana Spa is Bali’s ultimate experience in affordable, decadent luxe. Its mid-range prices are worth the slight splurge for the exotic yet intimate environment alone, complemented by a variety of massages, facials and exotic treatments. 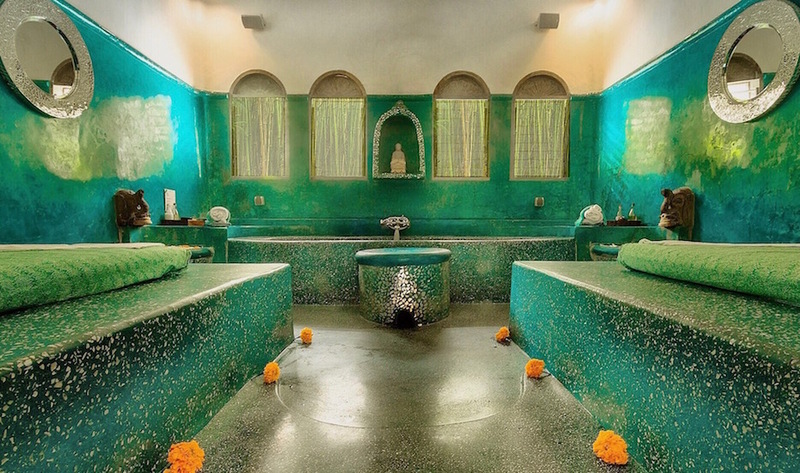 Specialist Ayurvedic treatments are a must. Prana Spa, Jl Kunti, Seminyak, p.+62 361 730 840. Open daily 9 am-10pm. Bodyworks is one of Bali’s best beautifying institutions – for good reason! Only five minutes walk from the uber hip Potato Head Beach Club and Ku De Ta lies Bodyworks – one of Bali’s most iconic beauty institutions. Still with great prices across their vast menu, a good rep from their high-quality service and a loyal following after almost two decades beautifying the neighbourhood, blissing out at Bodyworks is a holiday must-do. 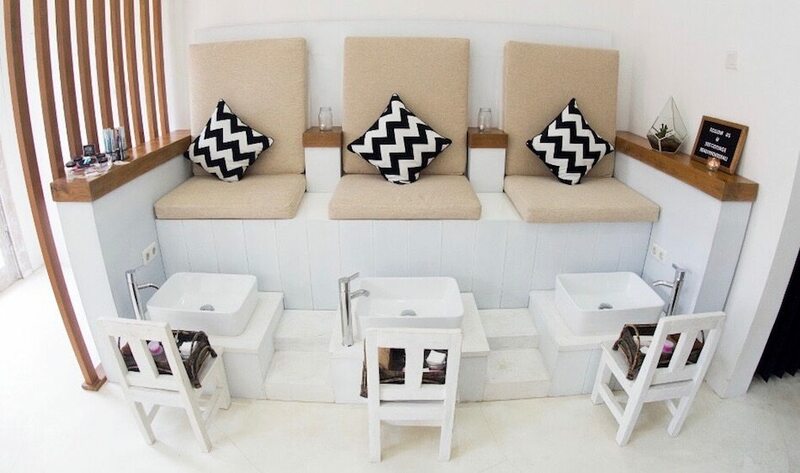 Head here to for a no-frills authentic Balinese massage or a flip-flop-prepping pedicure. Bodyworks, Jl Kayu Jati No 2, Petitenget, p. +62 361 733 317. Open daily 9am – 10pm. One name that’s right up there on the island’s must-bliss list is Acqua Perla Spa – the elite beauty and wellness destination at Double-Six Luxury Hotel. This contemporary sanctuary of all things fabulous is set right on the coastline of swanky Seminyak, yet it’s a tranquil world away from the buzz of the bustling beachfront. It comes decked out in some of the freshest and most contemporary interiors we’ve ever seen, coupled with a modern and ever-evolving menu of progressive, pampering treatments – all wrapped up in the fabulousness of Double-Six Luxury Hotel. Bliss! Acqua Perla Spa at Double-Six Luxury Hotel, Double-Six Beach, Legian, p. +62 361 8499189, e. reservation@acquaperlaspa.com. The Cottage Beauty House, Jl Batu Belig No. 8, Seminyak, p. +62 87 761 874 440. Open daily 10am – 6pm. 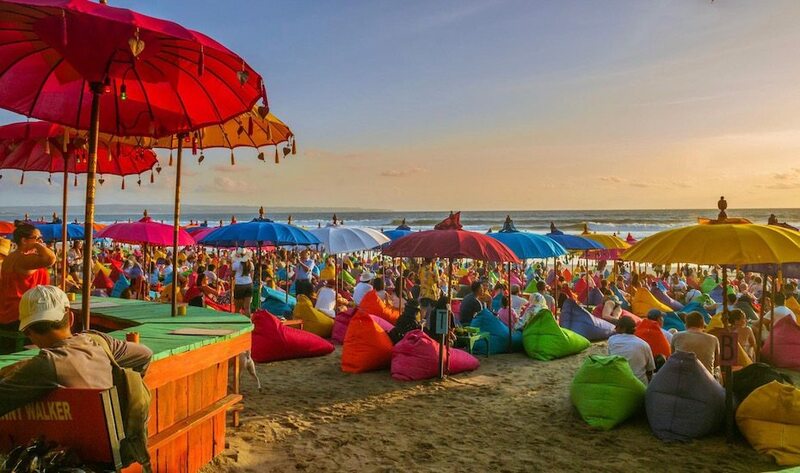 You can’t say you’ve been to Bali if you haven’t watched the sun go down at this iconic, glamarama beach-front venue for the masses. Step into the Colosseum-esque building of Potato Head Beach Club and you’ll understand why this proudly Indonesian brand has become such a star in Bali. Multiple restaurants, a swanky beachfront bar and an infinity pool with fab views of the sparkling Indian Ocean. It’s the playground combo nobody can resist. Potato Head Beach Club, Jl Petitenget, Seminyak, p.+62 361 473 7979. Open daily 10am – 2am. Seminyak’s original beach club, and still a place of beautiful people and groovy, sunset vibes. This luxe, original beach club (KDT to those in the know) remains one of Seminyak’s top places to see and be seen for sunset drinks. Famous for its themed parties, the club house day beds, a trendy restaurant and exceptional food. Soak in the buzzin’ vibes while you sip and snap the afternoon away on a poolside bed. Top tip – glamour girls, make a reservation the day before so you don’t wear out those fab strappy heels (or sandals) while waiting in line. Ku De Ta, Jl Kayu Aya no.9, Seminyak, p. +62 361 736 969. Open daily 8am – 2am. 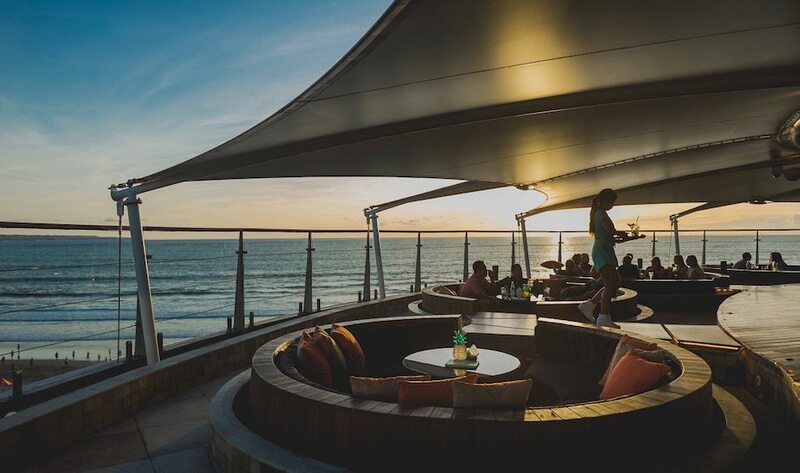 One of the world’s largest rooftop bars (at 1700 square metres), guests can enjoy local inspired cocktails while reclining on floating pods and looking out to the sea at this beachfront venue. Look out for the fire pit grill in the centre of the bar – the smokin’ pulse of the bar which offers “United Flavours of Satay” grilled over coconut shells and wood. Check out their events calendar too, such as their LIVE music events each Tuesday and groovy sunset soirees. Rooftop Sunset Bar at Double-Six, Double Six Beach No 66 Seminyak, p. +62 361 734 300. Open daily 3pm – 10.30pm. Alila’s super cool minimalist bar spills right out onto the sand, meaning it’s one of the best spots for a swanky sundowner. Sink into one of their beanbags or reserve a sofa and order up one of the signature cocktails from their chic drinks menu – then let nature do the rest. Alila Seminyak Beach Bar, Jl Taman Ganesha No.9 Petitenget, p. +62 361 302 1888. Open daily, all day. The original boho-beanbag beach bar, La Plancha sets the standard for casual sunsets under those iconic Balinese style brollies. Superb cocktails and a tapas style menu mean you’ll probably end up lounging long after sunset. And if you do, it doesn’t matter because the party usually goes on ’til late. La Plancha, Jl Mesari Beach, Seminyak, p. +62 87 861 416 310. Open daily 9am – midnight. 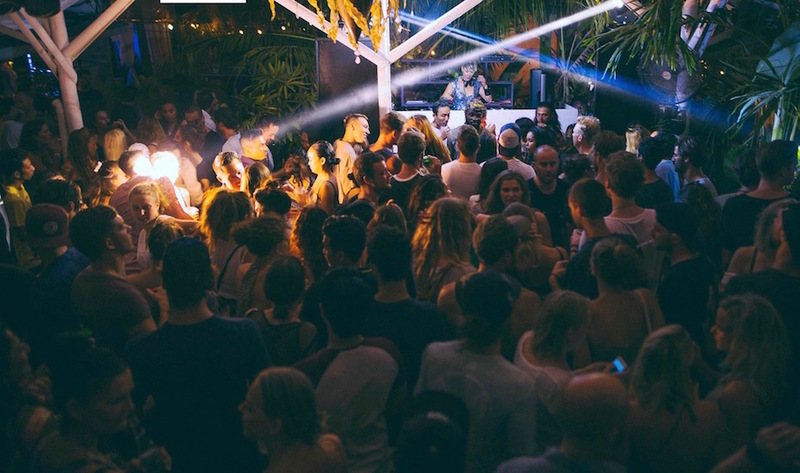 Bali may have a ton of good after-dark clubs but many of them sadly lack soul or style. 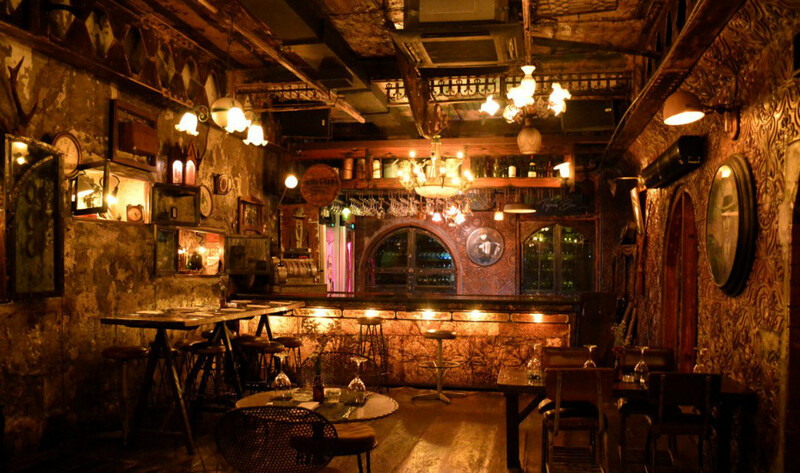 Enter La Favela – an eclectic bar and restaurant unlike its other glittering counterparts. Its décor counteracts its name (meaning Brazillian slum), where antique furniture lines its floors, plants seem to be (artfully) overgrown and even old bikes and a Volkswagen van rounds off the appearance. Oh, and more beautiful people than at a Victoria Secret’s casting. The weekend parties here are legendary affairs – almost like fun houseparties even. Highly, highly recommended. Get there. La Favela, Jl Kayu Aya No 177X, Seminyak, p. +62 812 4612 0010. Open daily 5pm – 3am. Bordering Legian, multi-concept Jenja is a favourite among locals and expats for good reason – providing the right dosage of underground and uptown style. The crowd here is sophisticated and well-heeled, so you can afford to get dressed to the nines. On Wednesdays to the weekends, the club opens so you can let your hair down. While not huge, the music is great and the state of art lighting and sound system doesn’t hurt either. Don’t arrive until 12 or after, as no-one else does. Jenja, Jl Nakula Barat 18, Seminyak, p. +62 811 3988 088 Open Wed – Sat 10pm – 4am. Downtown New York or upscale Seminyak? After a couple of 40 Thieves’ Moscow Mules, you might not care! Hidden above an inconspicuous little ramen bar at the top end of Petitenget, 40 Thieves is one of Seminyaks best kept secrets for those in the know. 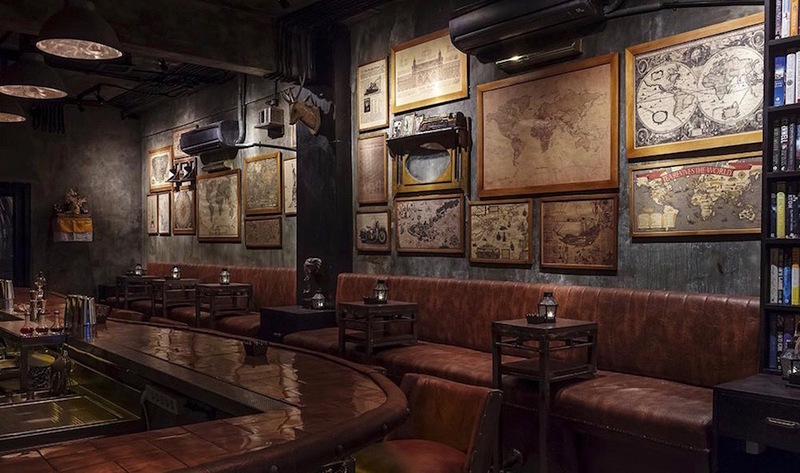 An upstairs New York-meets-old Shanghai speakeasy that’s always packed out ‘til the wee hours, you can expect killer tunes and sensational drinks with an artisanal twist. 40 Thieves, Jl Petitenget No. 7 (above Mad Ronin), Petitenget, Seminyak, p. +62 878 6226 7657. Open daily, 8pm – 2am. Welcome to the Jungle, where there’s plenty of (raucous) fun and games@ Just on the edge of Seminyak and surrounded by rice fields, Jungle is one of Bali’s hippest late-night hits. 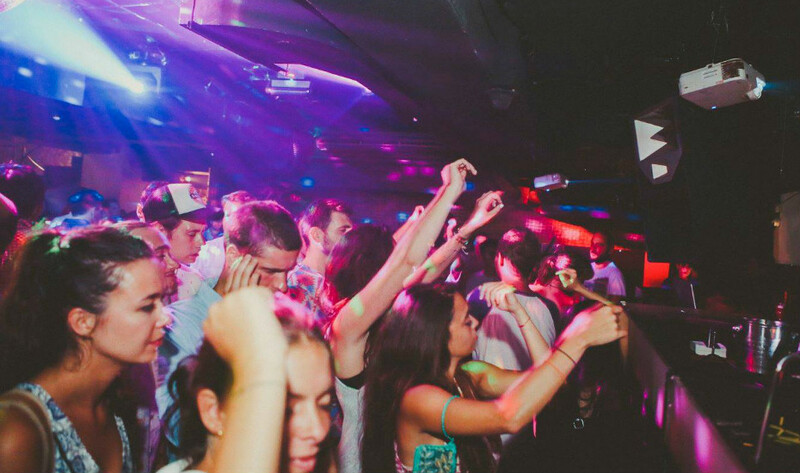 An absolute melting pot of nationalities, it’s not the easiest to find, but plenty do as it goes off every Friday and Saturday with pumping tunes and a wild party atmosphere that is rare on this side of town. Jungle, Jl Umalas 1, Seminyak – Umalas, p. +62 81 916 414 655. Open daily 8.30am – midnight. If you prefer to sweat it out ‘Bikram’ style, then drop into a class at the Jiwa Bikram Yoga in Seminyak. Former fashion model, Angie Grgat leads classes for beginners and experienced yogis alike. Jiwa explains that the hot room in Bikram allows the muscles to relax, allowing you to stretch deeper into the postures to create flexibility. Whatever it takes! Jiwa Bikram Yoga Bali, Jl Petitenget, Seminyak, p. +62 3618413689. 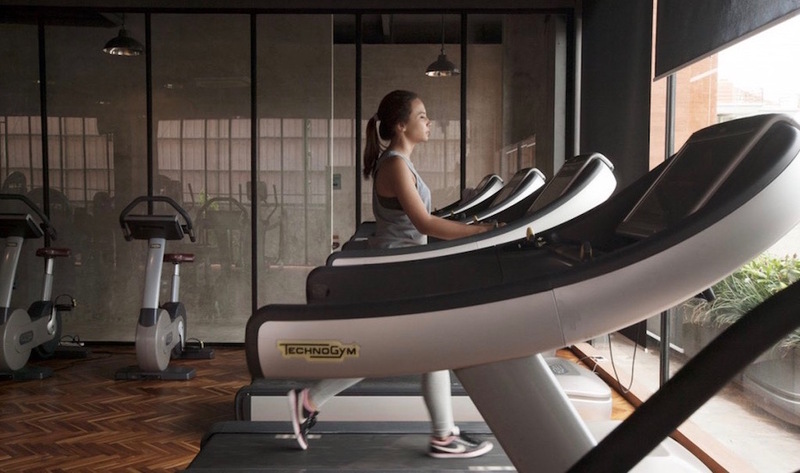 Much more than just a top Bali gym, Soham is an all-encompassing wellness centre, boasting a spa, fitness centre, healthy café and lifestyle boutique for when those old yoga pants just won’t cut it for this season. Check out one of the group classes or go full celeb and hire your own personal trainer. Soham Wellness Centre, Jl Lebak Sari No.7, Petitenget, p. +62 361 474 1616, e. info@sohamwellnesscenter.com. A workout with a difference, pole dancing has grown massively in popularity of late thanks to the fact that it’s an absolute killer for your core. 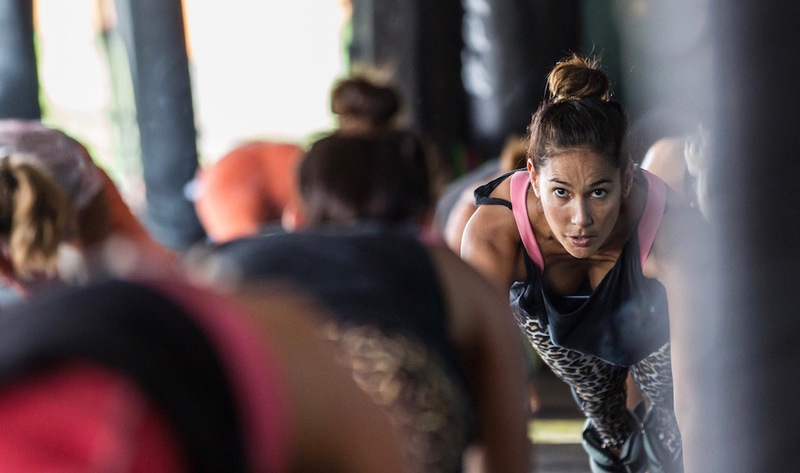 Great for washboard abs and thighs to die for, there’s no better spot in Bali to get your fit on in a supportive environment for free-spirited women of all shapes and sizes. Pole Studio Bali, Jl Mertanadi 25, Seminyak, p. +62 87 839 112 400 / +62 812 389 0999, e. ns@theartofbody.com. Get your rig into shape at The Bar (not to be confused with the other drink-serving kind) – a strength training fitness specialist gym with all the mod cons but minus the tedious treadmills. These guys know a thing or two about sport science and nutrition, so sign up and get moving to your new favourite workout sesh. 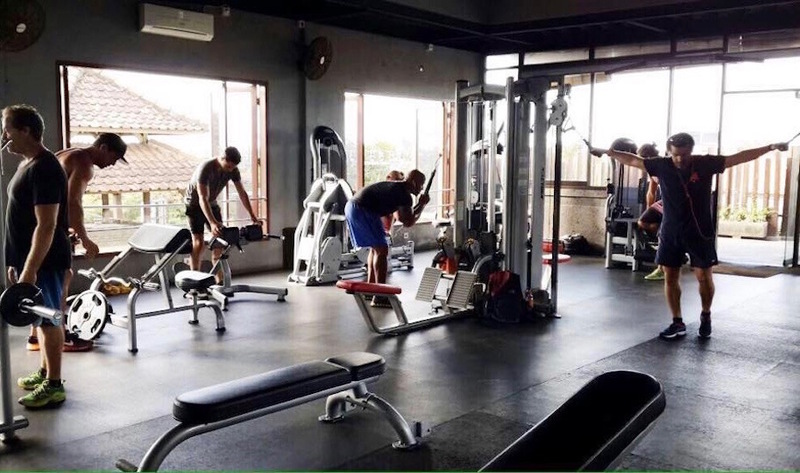 The Bar on Sunset, Jl Sunset Road No.11, p. +62 361 847 6770, e. info@gymwiththebar.com. Attain a higher level of health and well being at Motion Fitness – high energy workouts in a supportive and welcoming environment have brought on serious fitness fanatics, regulars and newbies hearing rave reviews again and again. Classes here are serious fun – select from cardio pilates, capoeira and total body toning. Or if you’re looking for a total lifestyle upheaval, the Fit & Slim Retreat is a 7D6N combination of programmes like yoga, meditation, tai chi and served up with a detox menu (raw food). Motion Fitness, Jl Petitenget No8L, Seminyak, p. +62 822 3614 3300 Mon – Sat 7.30am – 8.30am. 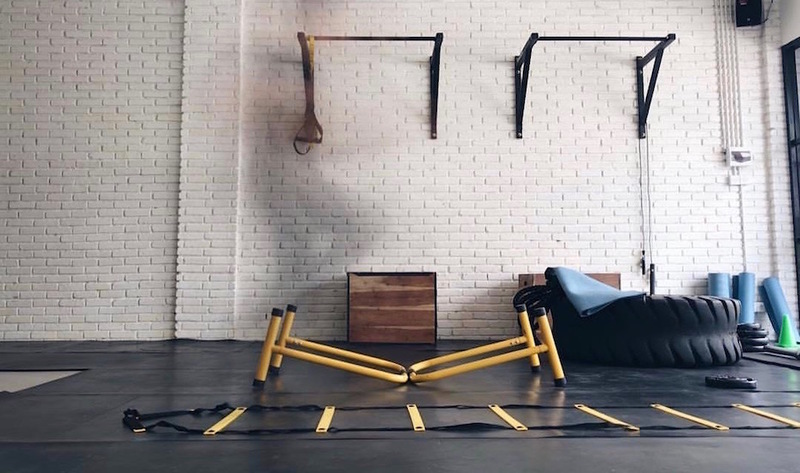 Fab little workout spot in the heart of Seminyak, Daily Gym is just that – a day-to-day, trendy-yet-inexpensive spot to get your sweat on. Be it on the cardio machines, the free-weights or in the ring with one of their popular Muay Thai/Boxing coaching sessions, they’ve got you covered here. Pop downstairs afterwards to the cute Bull Bar restaurant for a post workout brekkie with a long black chaser. 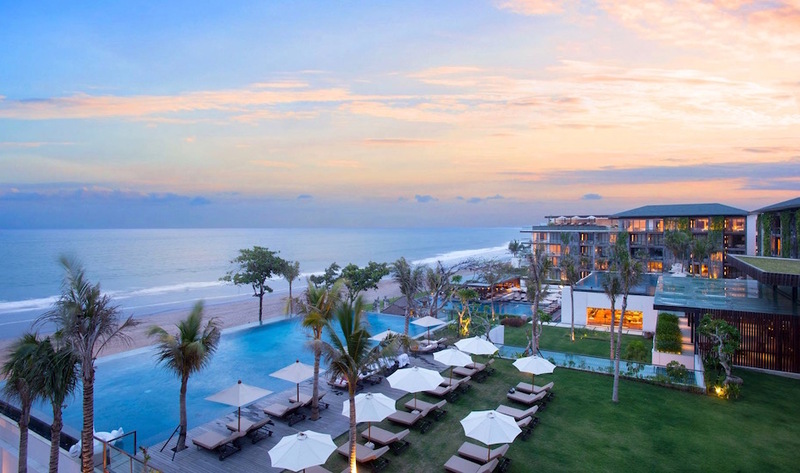 A fave of the international jet-set society, W Bali – Seminyak is an uber trendy mix of beachfront luxe, Bali-fused design, Seminyak’s cool kids and good living. 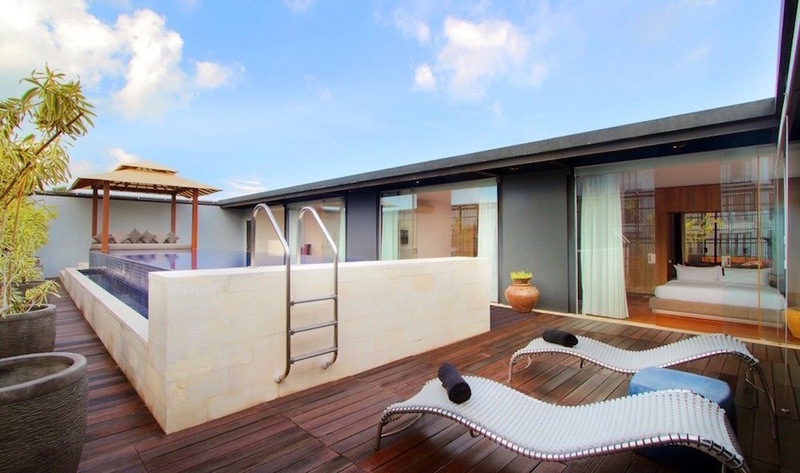 For ultimate exclusivity, opt for one of the modern and contemporary W Villas. Think private plunge pools, comfy sun lounges, hidden bale day beds and relaxing interiors with state-of-the-art entertainment systems in a completely soundproofed villa, tucked away from the world outside. Lie down on Egyptian cotton sheets in the bedroom and soak in terrazzo bathtubs with W branded BLISS spa products on hand. All you have to do is rock up with a bottle of bubbles and some good company. 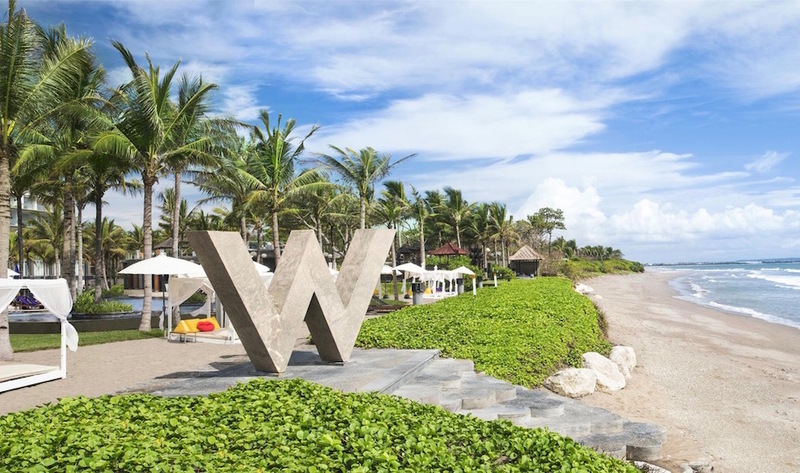 W Bali – Seminyak, Jl Petitenget, Seminyak, p. +62 361 4738106, e. whotels.bali@whotels.com. The Legian Bali is Seminyak’s elite resort destination with its own beachfront Champagne Bar – heaven! 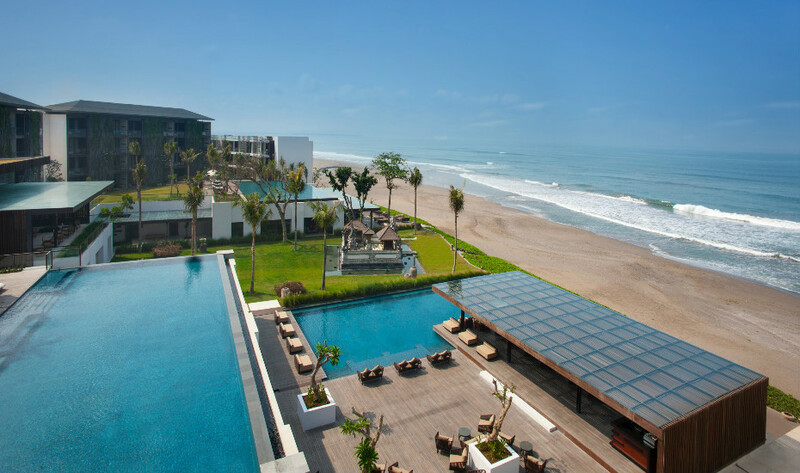 Refined, chic and oh-so classy, The Legian Bali is perhaps Seminyak’s most elite resort destination. Gorgeously sitting on Seminyak’s prime stretch of golden sand, this ultra-luxurious five-star retreat is the cream of the Seminyak crop. There are private butlers and date night dining experiences galore, oceanfront suites and Champagne bars on the beach. You’ll find glamorous indulgences beneath swaying palms, and no matter where you turn, you’ll find unparalleled service and signature touches in every direction. Choose from the elite beachfront Suites, the three-bedroom Beach House, or cross the street to The Club at The Legian Bali where private pool villas are hidden amidst tropical gardens and sparkling swimming pools. Hea-ven. 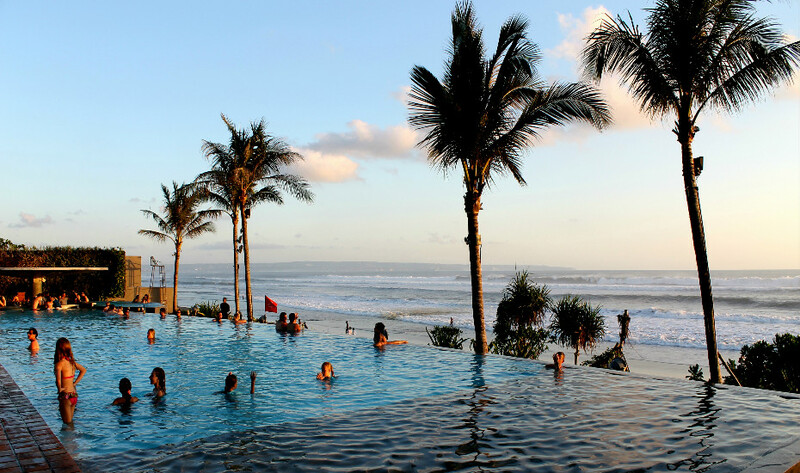 The Legian Bali, Jl Kayu Aya, Seminyak Beach, p. +62 361 730 622 e. reservation@thelegianbali.com. Sip and dip at Hotel Indigo, with its three stunning pools and wining & dining destinations galore! Hotel Indigo, Jl Camplung Tanduk, No. 10 Seminyak, p. +62 361 209 9999, e. hotelindigobali.reservations@ihg.com. A boutique resort with a strong design aesthetic, Katamama is a modern art masterpiece in the middle of town. Five-star personalised service and superb facilities – not to mention Potato Head is right next door. This has to be one of our top picks if you’re looking to splurge, but we promise you it’ll be worth it [and you’ll probably be back again!). Katamama, Jl Petitenget No 51B , Seminyak , +62 361 302 9999, e. katamama@pttfamily.com. 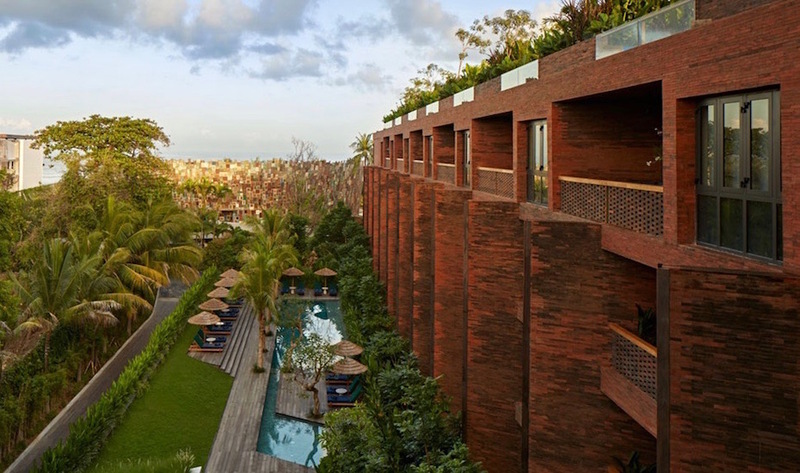 The ultra-swanky Alila Seminyak really does have it all! This sprawling, upscale resort really does have it all, with its picture perfect beachfront location and ultra-swanky accommodation. 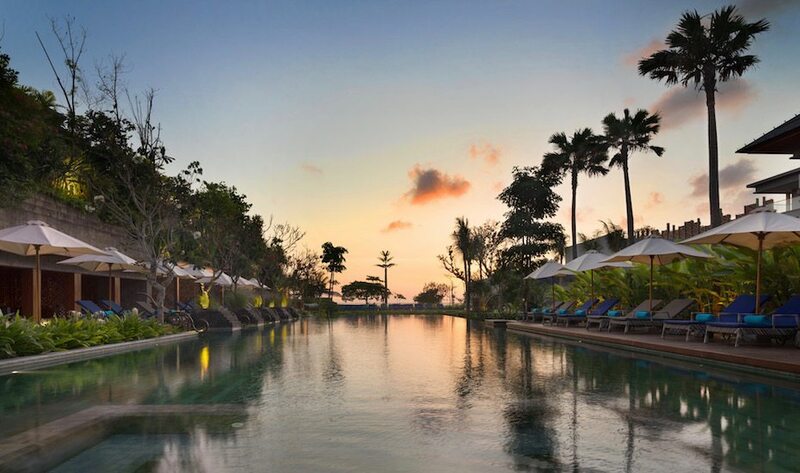 As tempting is it might be to never leave this haven in the heart of Seminyak, it’s well worth checking out the huge program of Alila ‘experiences’, from guided shopping tours in VW vans to morning biking through the rice fields. Otherwise, just munch your days away at Seasalt. Swoon! 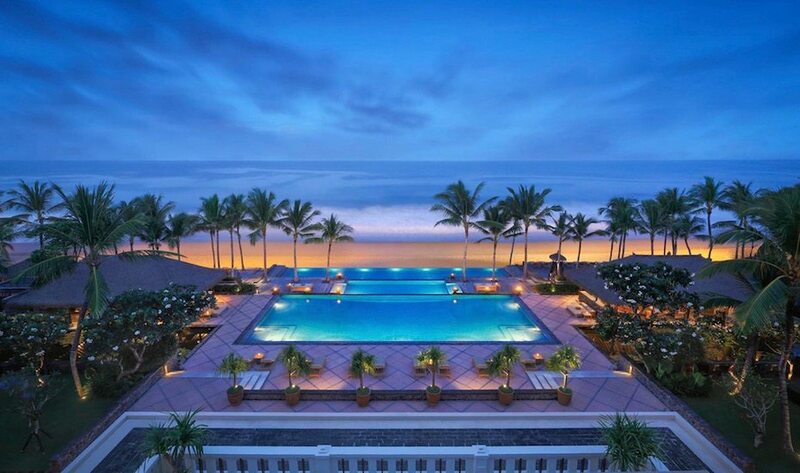 Alila Seminyak, Jl Taman Ganesha No.9 Petitenget, p. +62 361 302 1888. One Eleven is modern, minimalist, and oozes class. Billed as an ‘adults only luxe abode’, the 111 or One Eleven resort oozes class and style from the moment you check in. 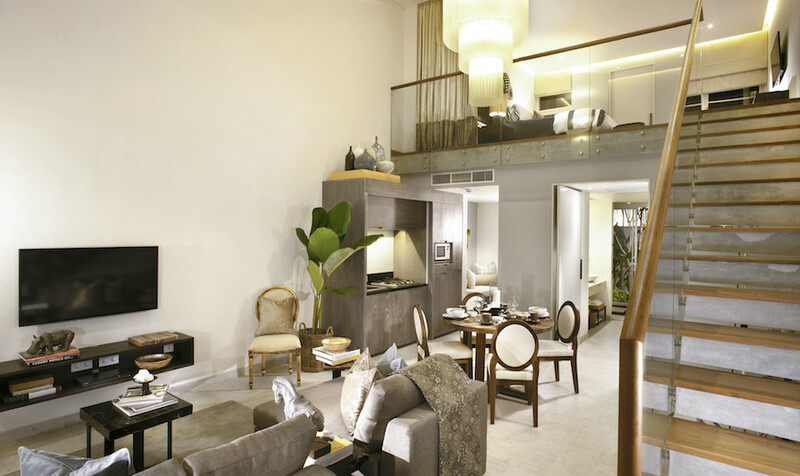 Modern, upscale minimalist design matched with first class service mean you won’t want to leave this Seminyak sanctuary. 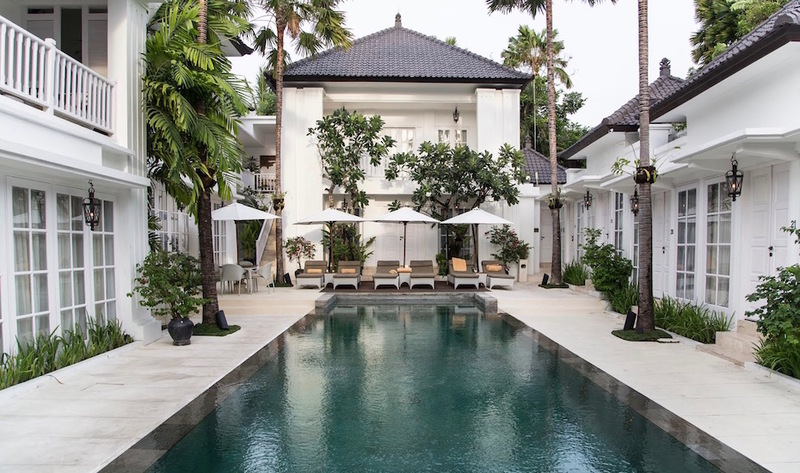 Wonderfully modern yet with an antique colonial vibe, The Colony Hotel is a tropical retreat that puts you right in the midst of buzzing Seminyak. Part of the same complex, Urchin restaurant out front is a hot tip, as is the boutique design emporium Kim Soo right next door. The Colony Hotel, Jl Laksmana No. 22, Seminyak, p. +62 361 736 160 / +62 361 736 266, e. info@thecolonyhotel.com. When an upmarket villa complex with a proud, party reputation has its own penthouse – you simply have to check it out! Hu’u Villa’s are pretty famous around here for their party-friendly personality, so they’re a great choice when you’re only planning to sleep while the sun is out. 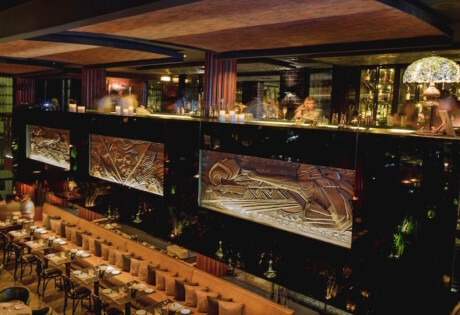 Their bulls-eye location means that if you ever want to leave your immediate lounging or dining surroundings, you don’t have to stumble far from home to be at Potato Head or La Favela. Win-win all round. Hu’u Villas, Jl Petitenget, Seminyak, Bali, p. +62 361 473 6576. 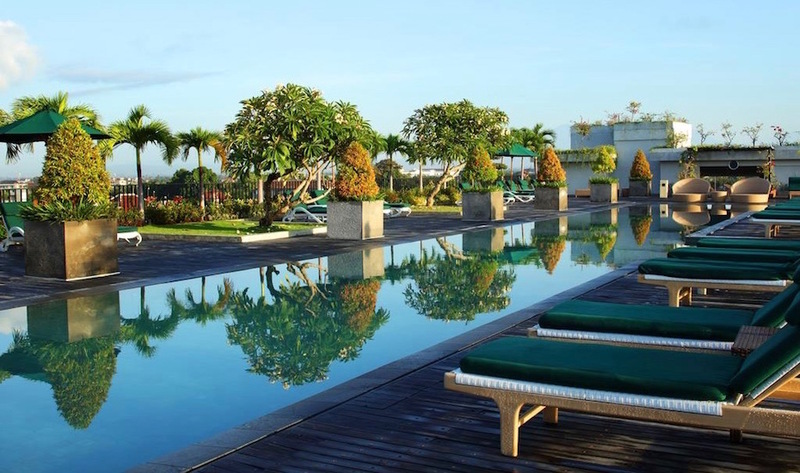 U Paasha is not only a super stylish Seminyak stay – it’s affordable too! This one is a great mix of value-based hotel living, with a few designer touches and wow-factors thrown in – rooftop pool, anyone? 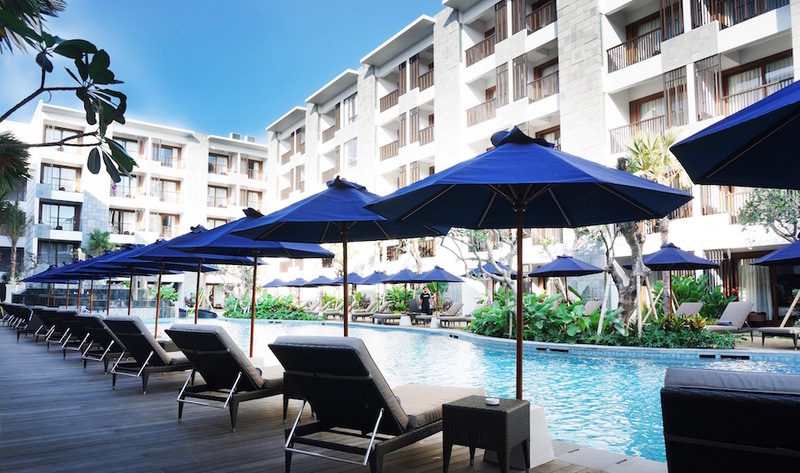 A blend of Seminyak lifestyle and local design accents paired with modern amenities, U Paasha is located right in the heart of Seminyak with the best of nightlife and beach life only a walk away. Relaxed and tranquil, the large rooms are decked out in a modern and contemporary design and great for chilling before you do a couple of laps up top. U Paasha Seminyak Bali, Jl Laksamana Basangkasa, Seminyak, p. +62 361 8465977. Courtyard by Marriott is a family getaway dream come true! A family favourite with a good kids club, child-friendly pool section and just minutes away from the beach – this five-star hotel is a family getaway dream come true (and a great alternative to staying in a large villa!). The rooms are immaculate and their golf buggy has you at the beach before you’ve applied your sunscreen. Slip on a bikini and relax the day away at the lagoon pool before descending to Seminyak kitchen for an elegant feast, or… shopping! Courtyard by Marriott Bali Seminyak, Jl Camplung Tanduk No 103 SP, Dhyana Pura, Seminyak. There’s so much to see, shop, eat, drink and spa in Bali, and Seminyak is just one area! So keep an eye out on our upcoming features that keep delivering more in-depth information and guides to Bali’s best. All. The. Time. Sun, sand and sea – it’s Bali’s best beaches! Don’t go chasing waterfalls – find them all right here! Or, sign up to our newsletters for more Bali bucket list ideas!